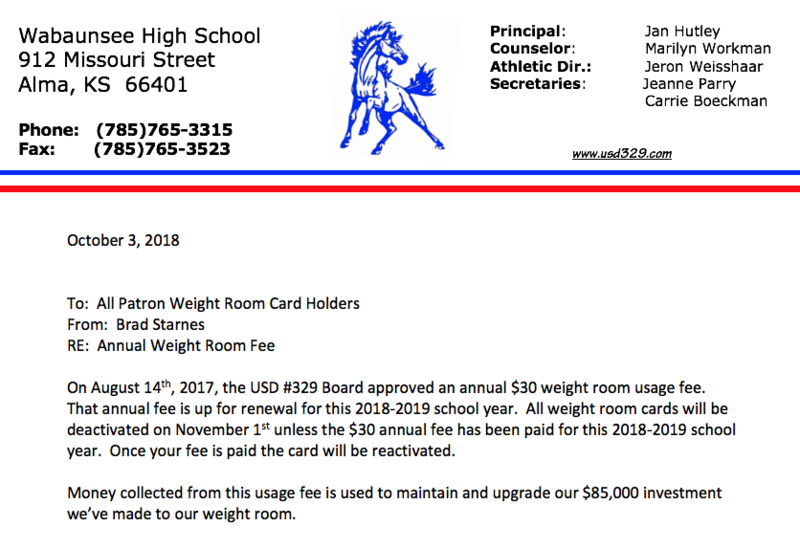 On August 14th, 2017, the USD #329 Board approved an annual $30 weight room usage fee. That annual fee is up for renewal for this 2018-2019 school year. All weight room cards will be deactivated on November 1st unless the $30 annual fee has been paid for this 2018-2019 school year. Once your fee is paid the card will be reactivated. Money collected from this usage fee is used to maintain and upgrade our $85,000 investment we’ve made to our weight room.